A fast-paced urban takeover with exciting and dramatic sequences as two opposing groups meet in an epic stand-off. Inspired by vintage martial arts movies, Modern Warrior takes two tribes, the TRADS and the MODS, and pitches them against each other. Six professional dancers perform for an audience on three sides before recruiting participants who learn a short dance routine and receive a costume to wear. 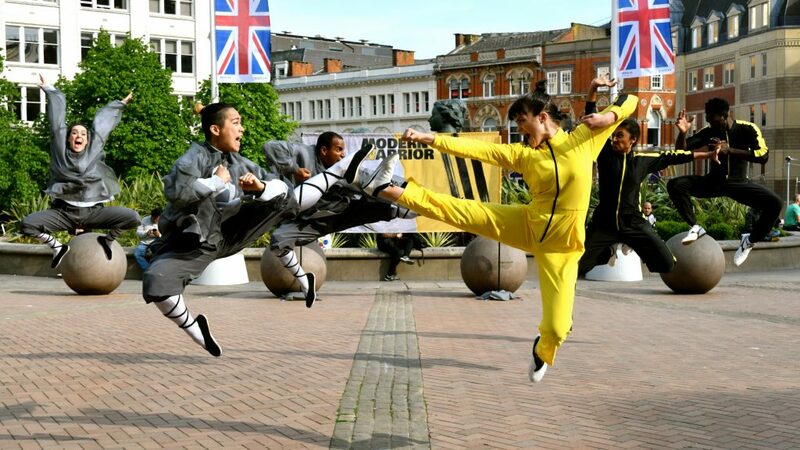 The event culminates in a 20-minute performance mixing martial arts, dance and audience participation to great effect. MODERN WARRIOR trailer 2018 from Rosie Kay on Vimeo. Rosie Kay Dance Company creates brave new dance in Birmingham that tours to audiences at home and abroad. RKDC has a reputation for making bold, original and exciting works that challenge perceptions and take on innovative subjects. Highly physical, with astute performances and intense athleticism, we make works that excite audiences with a visceral experience they feel in their bodies and minds. 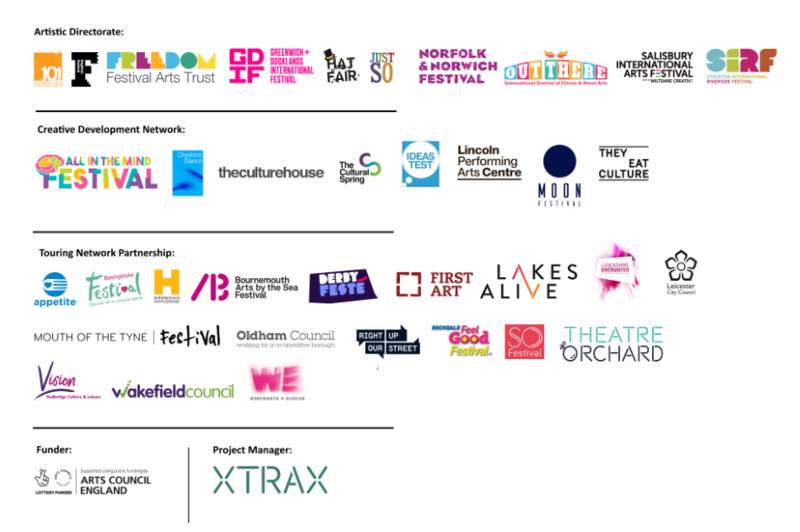 We aim to connect with our audience and are interested in building new audiences and attracting people who may have never seen first-rate contemporary dance before. Please add any information about the creation and production team. Co-commissioned by Without Walls and Salisbury International Arts Festival. Originally co-commissioned by International Dance Festival Birmingham & Birmingham Weekender (produced by DanceXchange and supported by Birmingham Hippodrome).